A cleaner specifically formulated to clean and brighten wood surfaces as well as remove mildew stains. This unique product will also remove tannin bleed, red clay stains, rust stains on wood and masonry and clean vinyl/aluminum siding, composite decks and more! Bring new life to old wood and concrete surfaces with Extra Textured BEHR PREMIUM DECKOVER. This 100% acrylic formula conceals cracks and splinters up to 6mm (1/4), and creates a heavily textured, slip-resistant finish that also resists cracking and peeling. It's available in 54 solid custom colours, and is also great for decks, railings, patios, composite decks, pool decks and walkways. CIL<sup></sup> Woodcare<sup></sup> Distinction Semi-Tranpsarent Stain is urethane fortified for exceptional toughness while enhancing wood's natural beauty and providing protection against harsh Canadian climates. 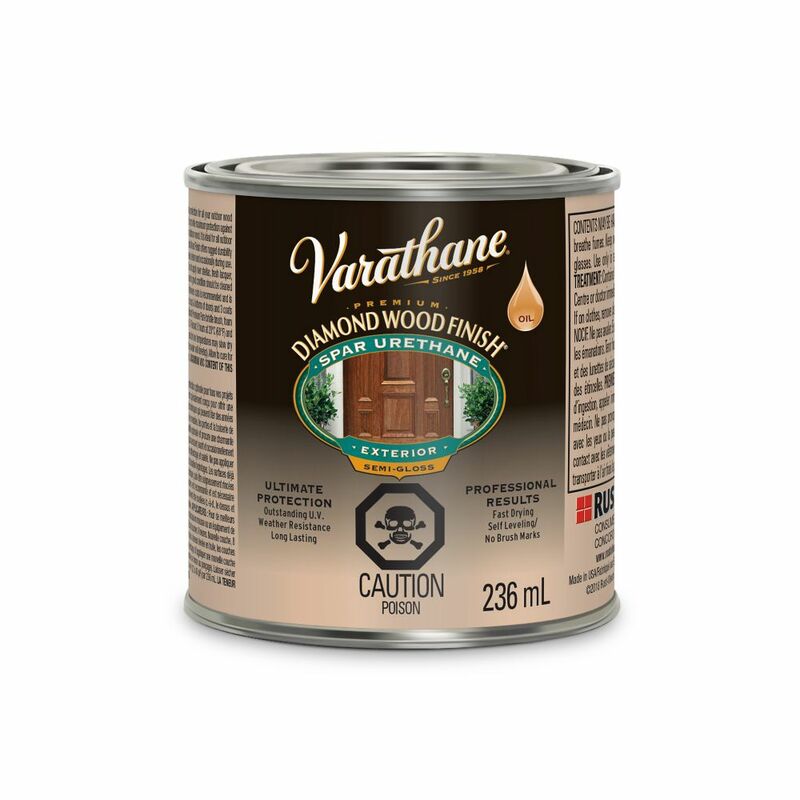 Varathane Diamond Wood Finish OB Exterior Semi-Gloss 236ml Varathane Diamond Wood Finish is the best solution to protect exterior wood against extreme weather conditions. It is specially formulated to provide superior durability and flexible enough to expand and contract as the wood and weather changes.